Good day readers. 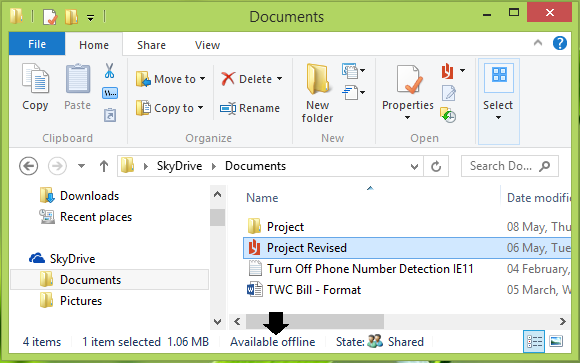 The aim of today's article is to show you how you can store your documents locally, instead of OneDrive. Formally, the Onedrive was known as skydrive, and at normal instinct, as long as you windows 8.1 system is connected to the internet, whenever you save your documents, it would be stored in the hood of Onedrive, this occurs due to OneDrive is deeply intergrated with Windows 8.1 system. However, once your internet connection is lost, you won't be able to access such saved document, that is, it would have to be downloaded. 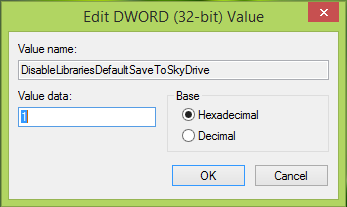 Today's stroll, I would brief you on How to Save Documents Locally, instead of OneDrive in Windows 8.1. So make sure you're in front of your system and get set for today's stroll. Step 1: In your Windows 8.1 system, press Windows Key + R together, then input gpedit.msc in Run dialog box and then press Enter to open Local group policy editor. Step 4: Then click Enabled, then apply followed by OK.
Once you're done with the above procedures, then close the local group editor and reboot, so that the setup would be effective. 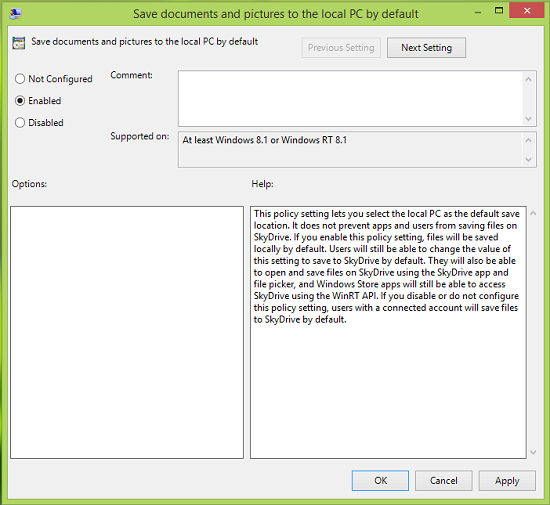 If unfourtunately, your Windows 8 system doesn't include the group policy editor, then this method would be of help. Step 1: Click Windows Key + R together, then input regidit in the Run dialog box. Then press Enter to open the Registry Editor. Then input the value data as 1 and click OK, just as shown in the box above. Finally, close the Registry Editor and reboot, to make the chages effectives. With the above procedures, your save documents would no longer be saved in the OneDrive, instead it would be saved to the locals.